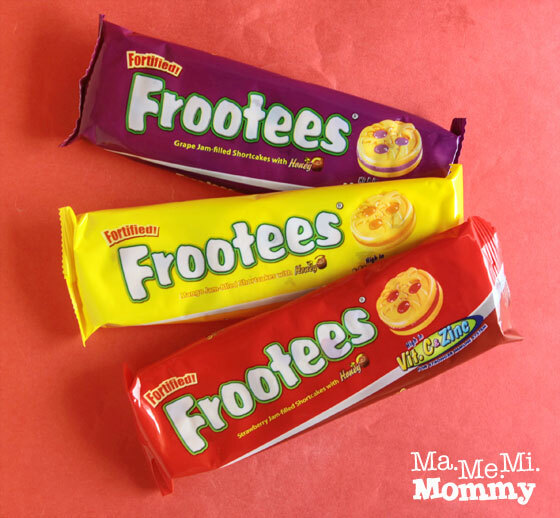 I got my stash of Frootees from the Mommy Bloggers Philippines Halloween Party last October 18. Until then, I haven’t heard of it nor have I tried it before. Having gotten so many, I decided to try one. I haven’t stopped munching on it since! That’s how much I like it! 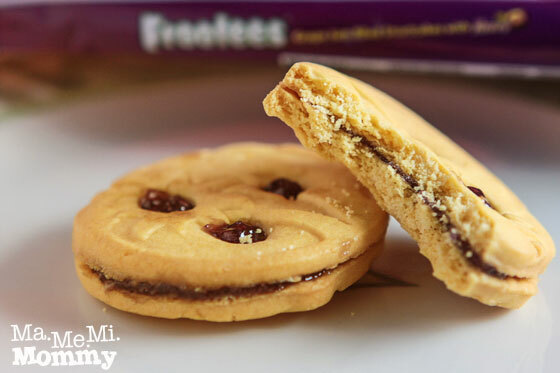 Frootees is another creation of the biscuit giant, Rebisco. Each pack contains three jam-filled shortcakes that are high in Vitamin C and Zinc to help boost the immune system. It also uses honey as a natural sweetener. They come in grape, mango, and strawberry flavors. Oh, yummy!! Shortcake. It’s not the usual hard biscuit but a shortcake so it’s a bit softer. This makes it perfect for young kids. I prefer the softness of it as well, compared to hard biscuits. Flavors. I love the different flavors they have. Grape is my favorite among the three. Not sticky. I’ve tried other cookies like this and the jam is so sticky that it sticks to the teeth. Ugh! I like how this doesn’t. I certainly don’t like how I’m getting so addicted to it! Help!!! These are available in leading groceries for P49.50 for a pack of 10. Does it taste like dewberry? I haven’t tried this yet. I love them too! One pack is not enough for me! Looks delish! This is something my kids would love. Kim Reyes recently posted…Be united for healthier kids in the Philippines! It’s always a pleasure to hear from someone with extpeeisr. I used to buy this before as baon! (Not naman when I was young because I don’t think may Frootees na noon; when I was working na yata). They’re delish but I prefer the bitter taste of chocolate more! I love Frootees! I’ve been eating them since college! Ohh, matagal na pala ito?